We all need money, and some people are endlessly motivated by getting more money. But for most people, the promise of money is not enough to bring out their very best. People won’t work twice as hard to increase their salary by 3.7%. People won’t soar past their “limitations” to earn $1,957 instead of $1,899. But if you give someone the chance to both support their family and change the world for the better, amazing things happen. Suddenly, working late feels good. You are part of something bigger than yourself. Instead of simply selling another widget, you are doing what you were born to do. On an ongoing basis, you could give one or two percent of your company’s revenues to build schools in Africa or to support underprivileged students in towns close to each of your offices. If you do this, don’t treat the money as abstract numbers. Encourage employees to visit these schools and bring back photos and anecdotes about the differences your support is making in the lives of others. Giving away money can make a big difference, but it sometimes fails to give the donor much satisfaction. Send $75 to Megacharity and you may never understand what difference your donation made versus their $325 million budget. But if four times a year everyone in your office spends a day building a house for Habitat for Humanity or volunteering at the local food bank, you will be able to look into the eyes of the people you are helping. Not all meaning comes from social good. Being a pioneer can feel just as good. Our world is rife with opportunities to replace outdated business models with much more responsive and flexible approaches. I imagine that all the people involved in these projects long felt grateful that they helped to: put the first man on the moon, invent the first personal computer, create the first profitable e-commerce site in their industry, or even bring a fresh new retail store to their town’s Main Street. Instead of waiting for some dynamic startup to disrupt your industry, why not band your colleagues together and disrupt your own industry? Completely eliminate the practices that drive your customers crazy. Dramatically reduce the complexity customers face. Cut prices by 90 percent (or more). Yes, it’s sometimes possible. Be utterly transparent, showing both customers and employees how you make money and how your entire firm is performing. Make loyalty dramatically easier than disloyalty. Radical goals are what inspire people to rise past their limitations. They add meaning to an endeavor. If you go to the trouble of radically re-thinking how your company and industry works, why not also consider ways that you can both make money and help others? Build altruism into the very fabric of your culture. Embrace the opposite of self-promotion; if you help other people reach their goals, your reputation will grow based on your deeds rather than your words. Replace greed with generosity; the more you help others, the more people will embrace your services and you will do well by doing good. We all have different conceptions of what is meaningful. Figure out what is meaningful to the people around you, and you will discover the path to making extraordinary things happen. Check on Slideshare fore 20 more ideas to get your imagination flowing. Written by Bruce Kasanoff. Bruce helps companies harness the potential of altruism to power business growth and career success. Learn more at Kasanoff.com. He is the author of How to Self-Promote without Being a Jerk, a simple little book about doing well by doing good. To always see Bruce’s articles on LinkedIn, please click the FOLLOW button above or below. Twitter = @BruceKasanoff. This story originally appeared on LinkedIn. More than 12 million Australians use Facebook. Twitter, on the other hand, has around two million active Australian users. Meanwhile, as many as four out of five Australian professionals use the networking site LinkedIn to advertise their skills and connect with like-minded people. Social media presents an unprecedented opportunity for businesses to amplify their content and interact with their target market. But with limited time and resources, small business owners are often afraid of starting – or even maintaining – a social media presence. While 65% of Australians use social media, only 30% of small businesses have jumped on the bandwagon. SmartCompany spoke to a number of experts for their advice on how businesses can make the most out of Facebook, Twitter and other social media platforms. Trevor Young, the founder of Expermedia, says it’s never too late to get your business onto social media. However, he says business owners need to have specific goals in mind. Young says social media isn’t necessarily something that yields instant results, just like any other investment. However, if you do put the time and effort into building trust and meaningful relationships between your brand and audience, that will eventually generate sales. Dionne Kasian-Lew, a social media strategist, agrees. Young says one way to get the most out of social media is to come up with a plan, just like you would for any other aspect of your business. That way your expectations are clear and you can refine them if necessary. Social media can be intimidating for business owners because it’s often perceived as something new and required specialised knowledge. Young says that, in part, this is true because what has worked previously for traditional advertising doesn’t work for social media. Rather than talk about yourself as you would in a television commercial, social media requires businesses to be exactly that: social. Social media was originally built for individuals to interact with other people. Young says this is where SMEs have a key advantage over larger corporations. It’s much easier to come across as human on social media if you’re known for being a small team rather than a large, faceless organisation. Kasian-Lew likens social media to a dinner party: you are more likely to want to remember engage with someone who has something interesting to say rather than just talks about themself the whole time. Cat Matson, chief executive of HEARIS, agrees. She says it’s important business owners remember social media isn’t a one-way conversation, but a multi-way one. All of the social media experts SmartCompany spoke to stressed the importance of businesses understanding their online audience. For Kasian-Lew, social media is premised on trust and people having meaningful interactions online. Once businesses tap into that level of trust, their audience will start talking about their products and services all on their own. Young says small businesses have an advantage on social media because they are likely to specialise in a certain area and therefore know who their audience is already. Matson says she uses social media because there isn’t enough time in the world to sit down and have a coffee and chat with every interesting person she meets. In that sense, businesses should see social media as an opportunity to connect with engaged individuals. Choosing which social media platform to utilise can be difficult. Kasian-Lew says there is no “cut-and-paste answer”. Choosing just one or two social media platforms rather than spreading yourself too thin can be a good idea for business owners. Good content can often be repurposed, saving you both time and money. 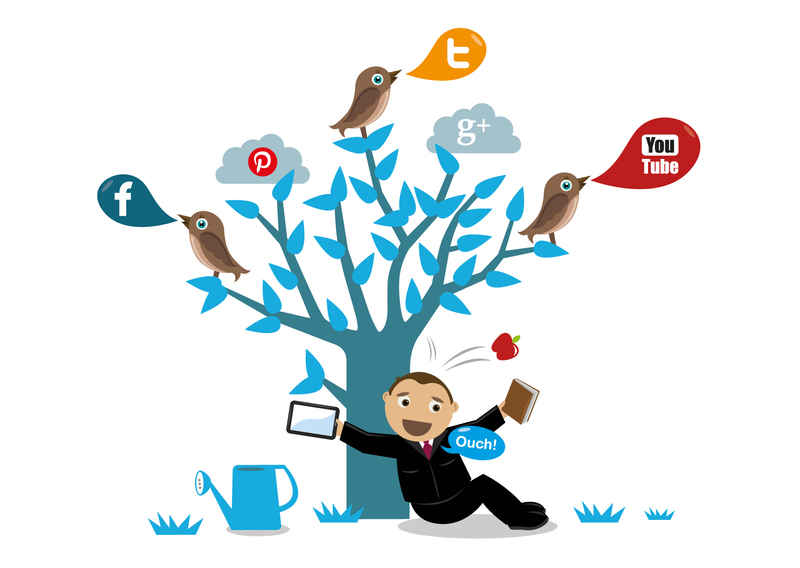 However, it’s crucial business owners understand that different platforms have different strengths and weaknesses. For example, copying and pasting a tweet into a Facebook status is not playing to Facebook’s strengths. Unlike Twitter, Facebook does not have a character limit and images are more important. Matson says the most successful businesses understand that when it comes to social media, a one-size-fits-all approach isn’t the way to go. She says your business is going to look lazy if you’ve posted the exact same message on more than one platform. Matson says she often sees businesses becoming “stuck” while they wait for the perfect social media strategy. While it is important to come up with a detailed, original plan – you have to “just get in there and see what happens” at some point. One way to do this is for business owners to give staff members the responsibility of managing social media. Giving staff members access to social media accounts is a good way to ensure the business is not neglecting its online audience. And if there are any mistakes or slip-ups, the key is to apologise and carry on because everyone makes mistakes from time-to-time. Written by Broede Carmody. Broede is a SmartCompany reporter who has a passion for covering work health and safety. He studies journalism at RMIT. Follow him on Twitter: @BroedeCarmody. Visit Smartcompany where the first version of this excerpt is originally appeared.